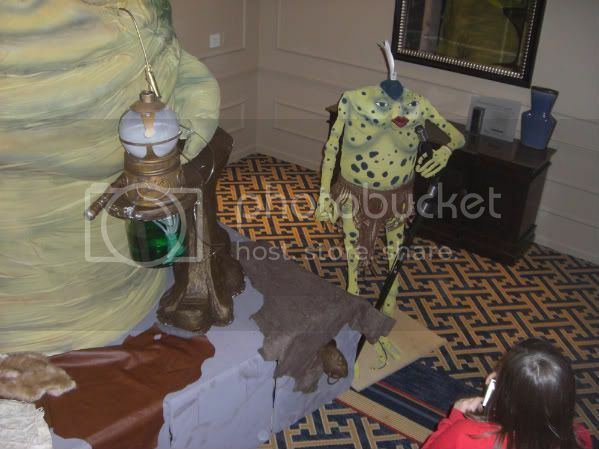 We arrived at the Sheraton at about 12:00. I've never seen the parking lot this full. The first thing we see going into the hotel is the 60's Batmobile, Batcycle, General Lee and the Delorean from Back To The Future. All looked very top notch. 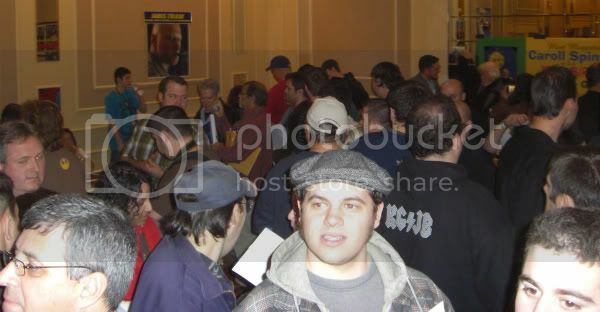 The lobby was a mad house. The line to purchase tickets was ridiculously long. 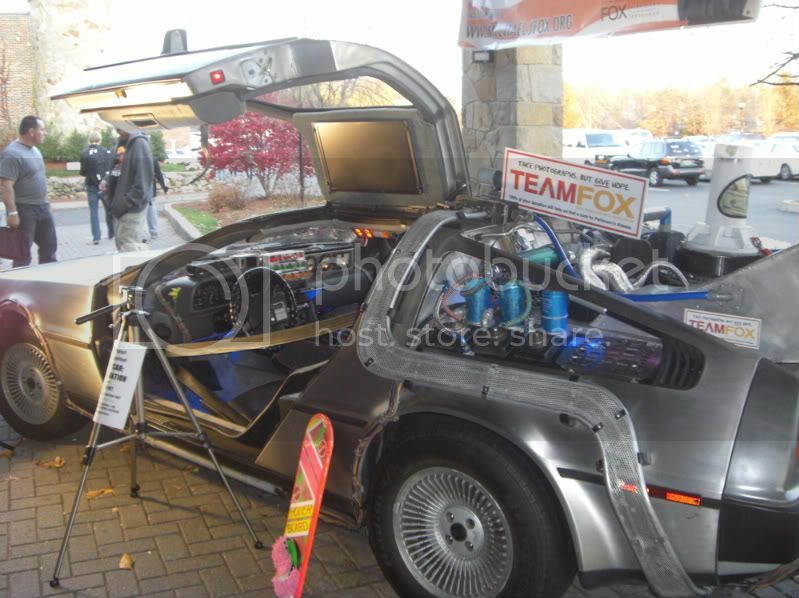 Once we got inside, we realized most of the crowd was there for Christopher Lloyd. 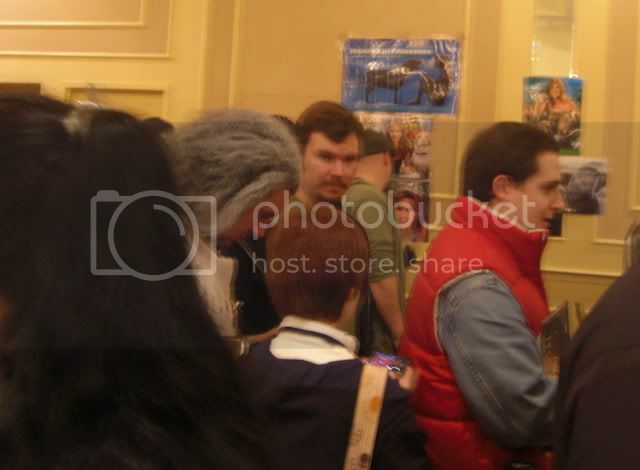 I never saw the line at this con taking up the entire floor area of the main autograph section. Lloyd smiled at at each person, signed the item and went to the next person. He was quiet and professional. 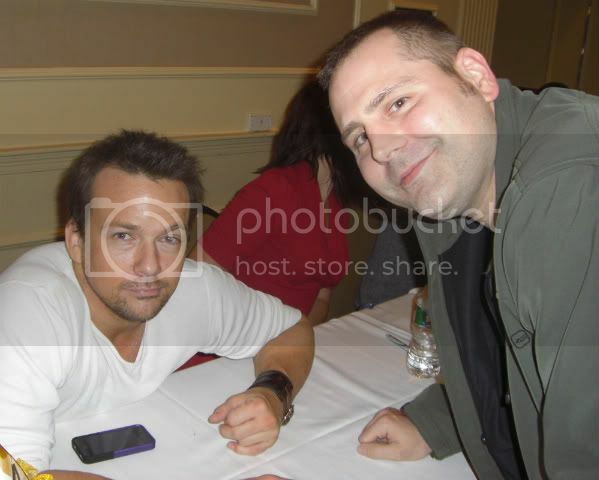 The other guest we were interested in meeting was Sean Patrick Flanery. He was the main character in Saw 3D and wanted to add his autograph to our Saw poster. I also managed to pick up the plate with his name on it attached to the back of his chair when filming Saw 3D from the auction house that deals in Saw props from all 7 films. I asked Sean if he could sign the plate with his name, character name and S.U.R.V.I.V.E. (his book title in the film) on the top. Sean loved the idea and seemed very appreciative that I enjoyed the character he played in the film. 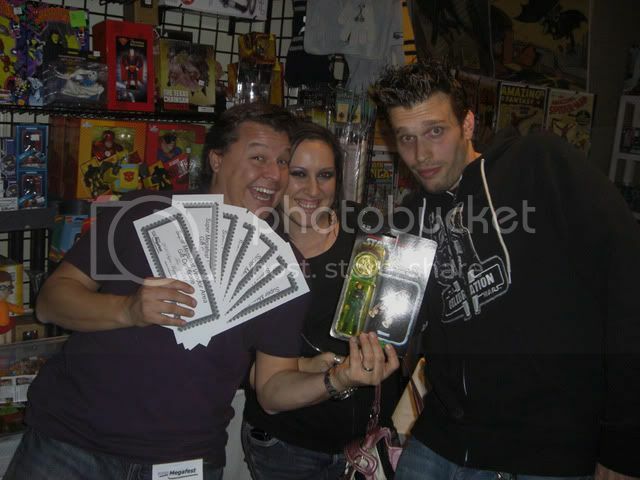 Everyone else only wanted Boondock Saint items signed. 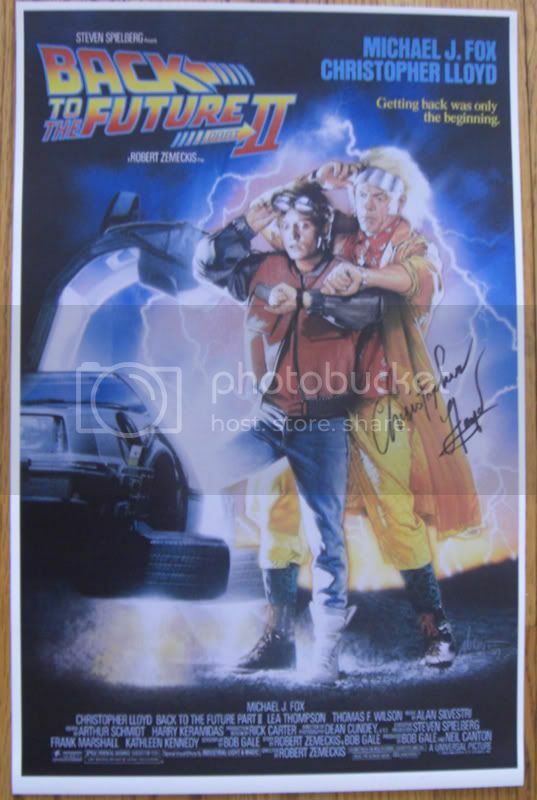 There were less dealer tables this time make room for the Christopher Lloyd line. 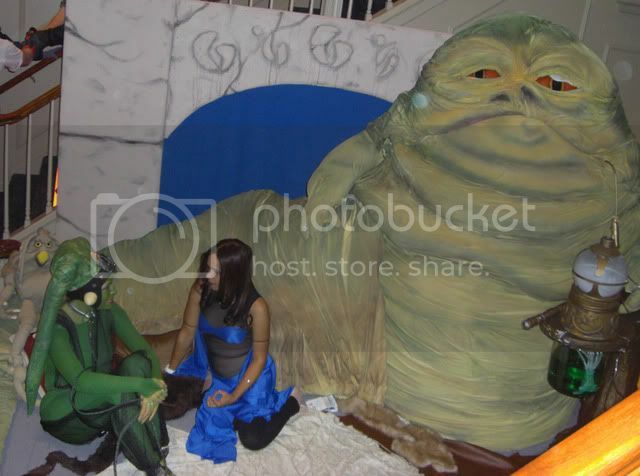 There was a guy dressed up as Batman yelling movie quotes in the ridiculous Christian Bale voice. Bob Backlund stood up on his table and screamed at him to shut up. That was priceless. A funny thing happened when a guy walked by asking what the huge line was for. I was joking saying it was Big Bird because that would never happen. The guy then pulled out a signed Big Bird 8x10 and said "Uh uh, I already got his autograph." I laughed and told him it was for Lloyd and he looked stunned.